For other uses, see Fleetwood Mac (disambiguation). The band's personnel remained stable through three more studio albums, but by the late 1980s began to disintegrate. After Buckingham and Nicks each left the band, a 1993 one-off performance for the first inauguration of Bill Clinton featured the lineup of Fleetwood, John McVie, Christine McVie, Nicks, and Buckingham back together for the first time in six years. A full reunion occurred four years later, and the group released their fourth U.S. No. 1 album, The Dance (1997), a live compilation of their work. Christine McVie left the band in 1995, but continued to work with the band in a session capacity. Meanwhile, the group remained together as a four-piece, releasing their most recent studio album, Say You Will, in 2003. Christine McVie rejoined the band full-time in 2014. 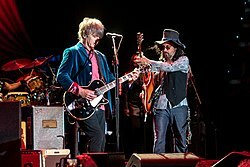 In 2018, Buckingham was fired from the band and was replaced by Mike Campbell, formerly of Tom Petty and the Heartbreakers, and Neil Finn of Split Enz and Crowded House. 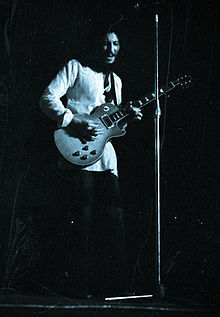 By 1970 Peter Green, the frontman of the band, was not in good shape. He had taken LSD at a hippie commune in Munich, which may have contributed to the onset of schizophrenia. Clifford Davis, quoted by Bob Brunning, said: "The truth about Peter Green and how he ended up how he did is very simple. We were touring Europe in late 1969. When we were in Germany, Peter told me he had been invited to a party. I knew there were going to be a lot of drugs around and I suggested that he didn't go. But he went anyway and I understand from him that he.... took what turned out to be very bad, impure LSD. He was never the same again." However, German author and filmmaker Rainer Langhans stated in his autobiography that he and Uschi Obermaier met Green in Munich and invited him to their Highfisch-Kommune, where the drinks were spiked with acid. [better source needed] Langhans and Obermaier were planning to organise an open-air "Bavarian Woodstock" at which they wanted Jimi Hendrix and The Rolling Stones to be the main acts, and they hoped Green would help them to get in contact with The Rolling Stones. As the tour got under way, Fleetwood Mac's road manager John Courage realised that the line-up was not authentic. [clarification needed] Courage hid the first Fleetwood Mac's equipment, helping to shorten the tour, and the new band dissolved. 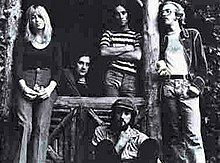 The lawsuit that followed regarding who owned the rights to the name put the original Fleetwood Mac on hiatus for almost a year. 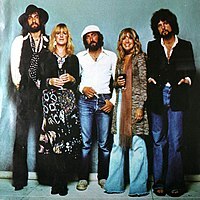 Although the band was named after Mick Fleetwood and John McVie, they had apparently signed contracts in which they had forfeited the rights to the name.